Craveable Keto is doing really well, hitting #1 in multiple categories on Amazon. 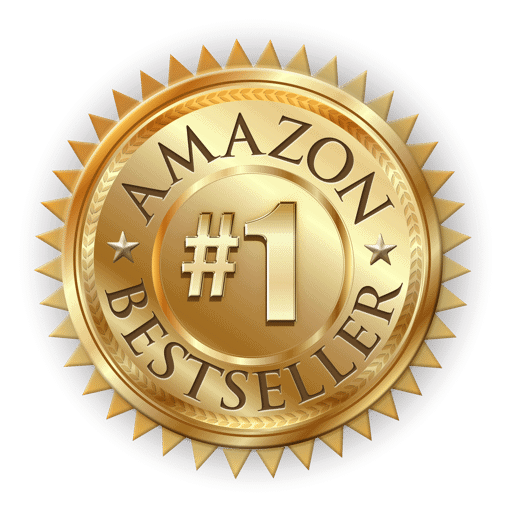 #1 New Release in Low Carb Diets, Top 100 Hot New Releases of all books currently on Amazon, among others. It is so exciting to see the buzz surrounding my newest book. I poured my heart and soul into this book and I can’t wait for you to see it. It is by far my bet work yet. It is now available for pre-order at any of the sites below. AND I am offering 8 free weeks of low carb meal planning to everyone that orders it! See below. CHECK OUT MY OTHER BOOKS HERE. 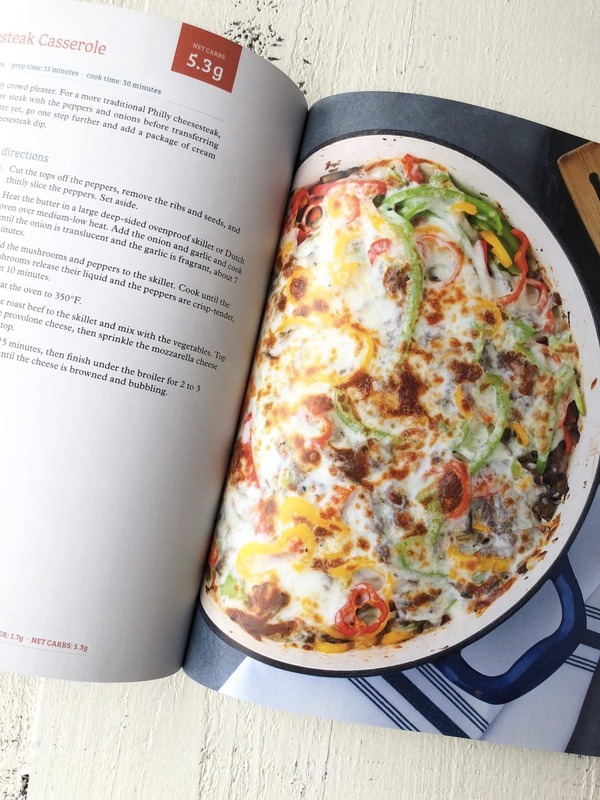 Craveable Keto Cookbook is like half cookbook and half life and weight loss journal. It’s not just 145 mouthwatering recipes, it also covers my own personal weight loss journey. It is real and raw and unfiltered. I am not one of those bloggers or cookbook authors that has never struggled with weight and therefore cannot possibly understand the true struggles of her audience. I am with you. Right beside you. Down in the trenches. Going through it at the same time as you. I have learned a lot along the way and my hope is that If I can share my story and help even one person feel less alone in their weight struggles, then this book will already be a smashing success in my eyes. 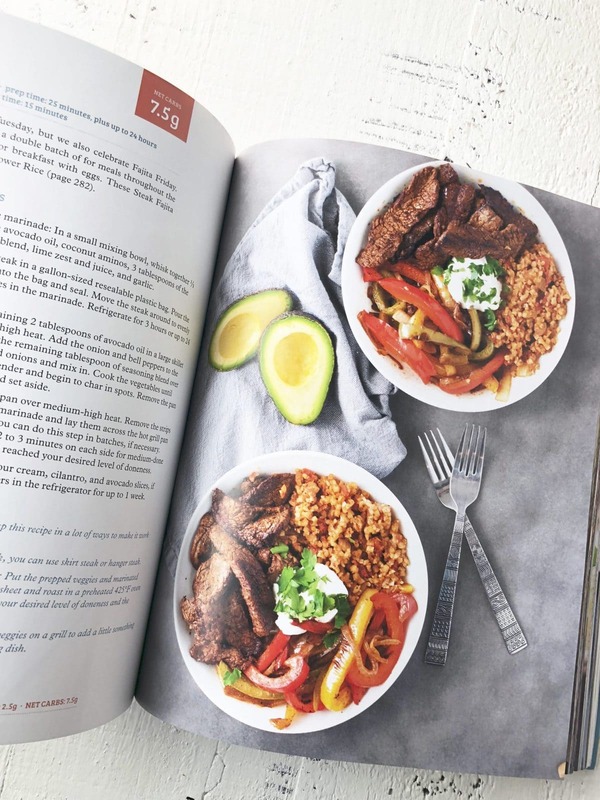 Craveable Keto Cookbook has more than 145 recipes, each with a full color photo and nutritional analysis. It is packed with awesome resources to help make your low carb, keto lifestyle easier. Let’s look at the recipes shall we? Free Meal Plans !! Need a little something extra to help you along? I’m so excited by your new book. I just love your last book. I use it all the time. I want to.see Indian recipes in the cookbook. I have experimented with Indian cooking, but am at a loss of how to correctly alter standard recipes to fit my new keto lifestyle. I am T2 and have several autoimmune disorders that I hope will be improved by my new way of eating. Looking forward to seeing what the cookbook contains. Bought your cookbook and went to cookbookfreebies@gmail.com to get the meal plans, but that address doesn’t exist. How can I get the meal planner? It’s definitely a valid email. I have gotten receipts sent to me as recent as just a few minutes ago. Have you verified that it is all spelled correctly? I ordered this book weeks ago and have asked how I email you my receipt or how I get my 14 weeks of meal planning. I wish I could get a response. It’s right in the post how to submit your receipt. Did you do that? I can’t wait to get this book!! Counting down the days ???? Me too! Hoping to see some fun avocado desserts. I just bought your book this weekend. I so want to win this !! I hope there is a lemon cake of sorts as my daughter loves lemon cakes but have not found one that is Keto. I would love to see more dessert options! Super excited for this!! I hope there’s a yummy brownie recipe ! I love following you and reading your blog. So excited for your cookbook! I hope to see some quick and easy recipes for those busy weeknights. YAY! So excited for you ! Congratulations ???????? I want to win this. Fingers crossed. So much talent. I can’t wait for this cookbook!! Thanks for the awesome giveaway! Can’t wait to try more recipes. All the ones I have tried from the website have been great. People are asking me to cook for a them. I can’t wait to try the enchilada chicken stuffed spaghetti squash! amazing! I would love to try all the goodies! Would love to win this and share it with my sister-in-law who is in the process of learning about the keto lifestyle! Always looking for new recipes for us to try. This is so exciting, thank you!!!! Fantastic giveaway! Thank you! I’m working on my mom joining me on the Keto journey and this would be great for both of us. I just found you and that you are from Seattl, me too!! I hope to see you at some book events soon! Super excited about this giveaway!!! I am new to keto and could really benefit from all of these resources. I would love to see some breakfast recipes. That seems to be the meal time that I need the most help with. I always hope for some sort of keto desserts! Or Italian food swaps! I’m hoping for a quick an easy breakfast besides eggs ???? We just started a keto lifestyle and I’d love to have these resources! Can’t wait to see that pretzel recipe! I hope to see more bread like and any easier less ingredient style recipes. Convenience and cheaper is always the best lol. Congratulations on your book it looks amazing and I can’t wait to have it on my shelf. Thanks for the giveaway!! Oh man I hope I win!! I cannot wait for your book to be shipped to me from Amazon. ???????? Love all your recipes! I don’t know if there is a recipe in particular I’m looking for but I just can’t wait to flip through them all!!!. Everything looks so good. I would love to see a new way to use zoodles and other low carb veggies for sides! I’m so excited to see your new book! More non egg breakfast options! This is so exciting!! Can’t wait to check out your new book! So many amazing recipes. I can’t wait for the next cookbool! So many good recipes I need in my life! The dill pickle fish&chips sound amazing. I hope there is some sort of fried chicken! I just recently started Keto, and came across you on Instagram! First love your feed and your stories. I’m hoping for lots of cocktail ideas. I really loved the previews from your story the other day! Good luck with the new book! Looks amazing! I’m looking forward to getting your book just hard to wait for it! I love your recipes! I could really use this book in my life!! I’m hoping there’s some individual quick “mug” recipes! Wow what a awesome giveaway!! Your book looks wonderful!! Can’t wait to see it!! And as for your book, I am hoping for some fun baked goods recipes, stuff that maybe I can use during the holidays. I know that can be challenging for everyone and I am no exception. Can’t wait to order your book! I bet this is the best one yet! I hope to see a chocolaty fat bomb/fudge-like dessert in your book! I crave chocolate 🙂 Looking forward to seeing all the amazing foods you’ve curated! Wonderful giveaway! I’m always on the lookout for creative cookie and brownie recipes! Would love to see some delicious but quick recipes for 8-5 people. Looking forward to it! I really hope to see some breakfast recipes in your book that aren’t just your standard eggs and bacon! Mike pancakes, “sweeter options” and you’d hit a home run with me with a killer meatloaf recipe. I would love to see any Mexican dishes! I would love to see some cookie recipes. Love your blog and your giveaways. Thanks for inspiring us! I have a kiddo that is allergic to cheese, so hoping for cheese free recipes. I’m hoping for good breakfast-type recipes to change up our morning routine! I hope to see some cookie or brownie recipes! I would LOVE to see some dessert recipes like brownies, macarons, pretty much anything with lemon!! Wishing you great success with your book. I’d like to see more main courses using pork. We see a lot of beef and chicken but pork is minimized. I’m excited for the new book! I would love to see some recipes that would lend themselves to batch cooking. Can’t wait to try your recipes! ???????????????? I would like to see some sweet treat recipes along with fat bombs! Thank you for the opportunity to win something that I cannot afford to buy at this time. I’m grateful. I have to do this for my health. This is awesome. I’m just getting started and your blog has been amazing. Thank you. Such an amazing giveaway!! The pretzels look amazing! Would love to see them in th cookbook! Can always use the help like the cookbooks! I’m hoping to see some good weeknight recipes! wow. amazing. cant wait to see the new book. I already have two of your cookbooks and love them! Looking forward to the deliver in January! I’m sure it will be even more amazing than your first two cookbooks!! I’d love to see some keto crunchy snacks kind of like hot cheetos! I think my story is much the same coupled with the fact that I have right side brain damage that has hampered my body’s production of leptin…. I’m back to trying low carb in hopes that maybe I can turn this around. I’m 28 with mild-moderate CP & I’m tired of feeling like I’m 108! You’re an inspiration & I’m pre-ordering your book. I’d love to see a lemon cake! 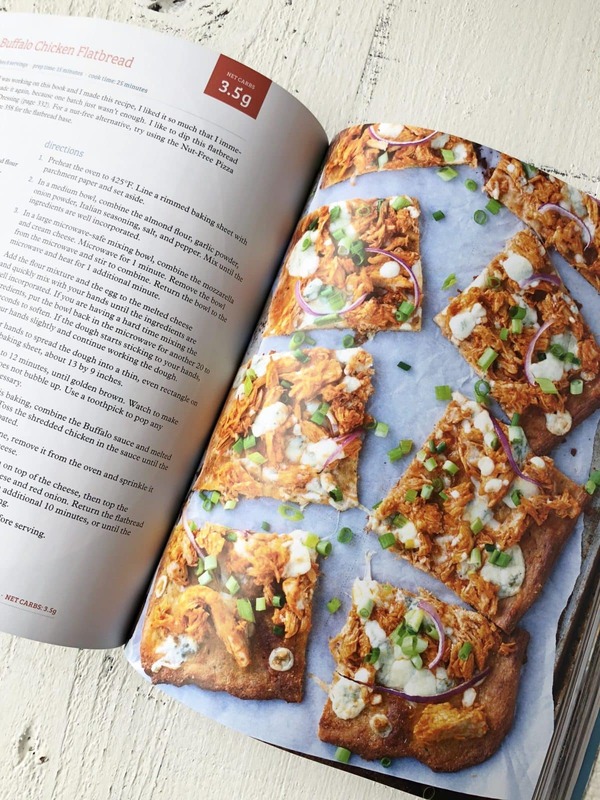 I really want to see a Keto pizza recipe!!! 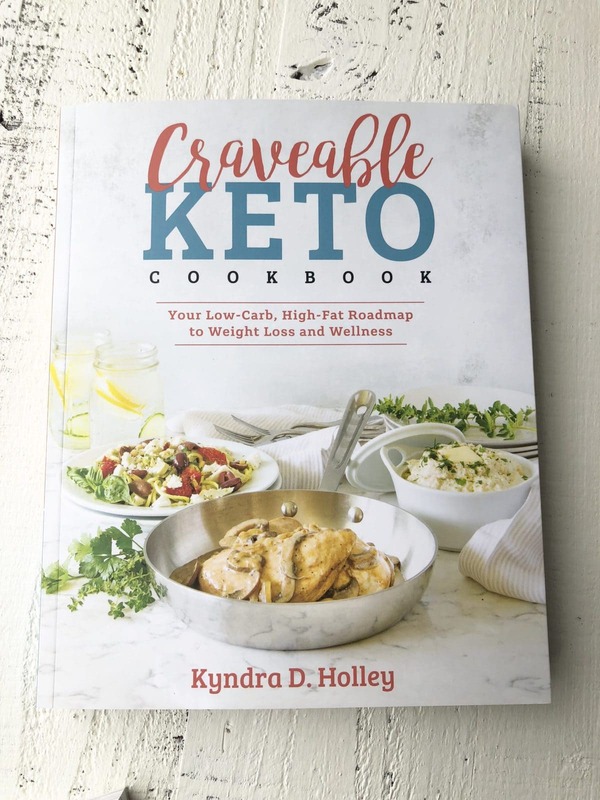 I love your recipes and am so excited about your upcoming Craveable Keto cookbook! I have pre-ordered! I am looking forward to all the recipes; and, also to having the meal plans with shopping lists! Thank you! ???? Can’t wait to get a copy of your new book. Good luck with the new book. Giveaway looks amazing! Hoping to find some new sweets recipes and also maybe some kid friendly/fun keto to try! Just started following you. I’m excited to go back and read your blog. I love dessert, so I am looking forward to those recipes the most! A good brownie recipe and a good pancake recipe. Haven’t found one I really liked yet! I’m excited to see the new book. I am hoping for some recipes my whole family will eat. I’m so excited for your book! I would love to see a lasagna recipe! Being so new to keto eating, I’m just looking forward to ALL the recipes. ???? Trying so hard to get this woe, but don’t have proper direction or products. Starting to love the advice and direction this blog has! Congratulations on the book!! I hope there are some recipes involving chocolate! I am so excited!!! I ordered your cookbook! I have been enjoying seeing you test out all the new drinks on instagram.???? I can be a tester ???? I can’t wait for Cravable Keto! hoping for a good mac and cheese recipe that is keto. I hope to see your chocolate chip cookie and cheeseburger soup recipes in the new book! WOW! I am always on the lookout for good, quick, easy, low-carb casseroles. I hope to find sauces I can use for meats, and more dessert ideas. Already preordered! Can’t wait! I’m hoping to see some drink recipes! Been following you for a while! Love your recipes. Love to see a mojito drink recipe in your book! I am so excited for your new cookbook! I am trying to get my daughter to eat lower carb (she is a huge carboholic). BC She was so picky for awhile, we even let her eat soft pretzels for breakfast. So that is one of the recipes we are really waiting on! I hope to see some slow cooker recipes and a good cake recipe. I’m beyond excited for this book! I feel like this will be all the comforty deliciousness made keto and I can’t wait!! I’m hoping to see come cinnamon bagels or new breakfast ideas, I get stuck in a breakfast rut from time to time. Thanks for all you do for the keto community. I never would of made it this far without you! I am excited for your new cookbook! I have your others already and love the food!! I’m super excited for your new cookbook. I loaned my copy of Primal Low Carb kitchen to my friend who just started Keto and I am really missing it. Congratulations on your new book! I hope to see a pizza recipe in it! Thank you for the chance at the awesome giveaway! Hoping for a good bit of dairy free recipes! Fantastic giveaway!! Great products too! Congratulations on the new book! Hope to see a creamy, diary free fat bomb recipe in there. Thanks for the chance in the giveaway. Really excited for breakfast recipes. Seems to be my hardest meal. I can’t wait for this book to come out! Pre-ordered and I am so excited! Hope there is a sweet and sour chicken or orange chicken recipe. There is no special recipe I want to see. All your recipes are amazing and we love them all. I’ve been a fan for years now adn you are a true support and inspiration for the low carb world. I would love to see recipes that I can prep for a whole week that are easy and full of flavor. I need all the resources I can get as I make a lifestyle change to Keto for both my husband and I! I hope to see some good comfort food type recipes, we have been trying to do a couple of new low carb recipes a week. I hope to see cereal replacement recipes in the new book. This is so exciting ! I love all of your wonderful recipes. So happy and excited about your new book! I love all your recipes and I’d really like to see some make ahead breakfasts as that we can fix in a jif or take it to work on the go. I’m excited for your new book. Going to preorder now!!! I can’t wait for your dill chicken salad!!! I can’t wait to see the new recipes – especially baking ones!! Can’t wait to get the new book. Looking forward to the book! I’m a snacker, so I’d love to see some LC/Keto snack mix recipes that would be an alternative to my favorite but crazily carby Gardetto’s snack mix! I’m hoping for Asian-inspired recipes. I miss my Chinese (and Vietnamese) faves. I’d love to see a chocolate avocado pudding and other desserts that can be made quick and easy. Any recipes actually that are few ingredients and easy to make. Did the pre-order today through Amazon. Looking forward to getting your new cookbook and exciting recipes to help with a healthier diet and life style. I pre-ordered toe book, can’t wait until it’s here! I looove your recipes, I’m not sure which are my faves; Just Like The Real Thing Lasagna or Creamy Chicken Scampi. Thank you for making low carb easier! Awesome giveaway! I’ve been wanting everyone of these waiting for my budget to agree lol. I’m hoping to see some lunch recipes! Thats the meal I have the hardest time with. Love any resources to help on the Keto journey! Hope to see lots of easy recipes for this working mom! This is exciting! I’m looking forward to the book! I’m looking forward to the pretzel recipe! Not sure what recipe I would like to see in the new cookbook. Something comforting and simple. Love your website and your recipes! Great for all of us who have had bariatric surgery. I would love to see a recipe for an easy mayo-based sandwich spread to put on meat and cheese roll-ups. I mash up avocados and then add some mayo until creamy. I use this on so many things! I’m so excited to see more food options. I love dessert but I need real food options to feed my family. Thx so much for the opportunity. A realllllllly good pizza/”dough” crust!! ???????? I would love an amazing chocolate cake recipe! Looking forward to reading your new book! Sounds so amazing! So happy I found this site! Thank you for all of the recipes. A Pretzel recipe sounds great, as would any bread type foods. I’d also love egg free ideas. The prize package is amazing, thanks for the chance. What an awesome giveaway. Can’t wait to get the book! Hope it has lots of bread type recipes. I’m really struggling with that, even things as simple as buttered toast. Looks like a great way to do ore than bacon and eggs. I would love a poundcake recipe! I can not wait for your book!! It looks fantastic. And the giveaway sounds amazing! Super excited for the book. And thanks for the great contest! I’m so excited for this! I hope that there is a recipe for lemon cake! What an awesome giveaway! Can’t wait to check out your new book! Excited for the book and loving all the freebies I’ve already received for the preorder. It’ll be like having your awesome website in my kitchen full time. You are so gracious! This is a wonderful give-a-way! I would love to see a stuffing recipe. I want to see… Any Keto recipes…. Just discovered Keto a few weeks ago so ready for ideas! I am just looking forward to some unique recipe ideas….you have so many of them. Always looking for new ideas for sides. Wow! What a great selection of books! It would be awesome to win this. Love your website and looking forward to your book. Thanks for the giveaway opportunity. This is the most AMAZING prize giveaway ever. It would be a deal come true to win. You have so many delicious recipes. I’m sure you’ve got everything I could want and more in your new book. I’m a fan of American BBQ – brisket, cornbread, ribs!! I’d love an American BBQ meal! Awesome Giveaway and congrats on new book!! I would love to see casserole recipes in new book!! I would love for several quick and easy dinners in the cookbook. I would love some easy non egg breakfast recipes. Would love some of these books . What an awesome giveaway! I hope to see anything with lemon or how about a really great lasagna recipe! A good brownie recipe my kids would like! Thank you for this amazing giveaway! Can’t wait to get your cookbook! I’m so excited for this!!!! A good base muffin recipe. I used to have one I developed the first time I went LCD but can’t remember the ratios. It would be adaptable to multiple flavors. Thanks! Slow cooker beef recipe. The thing I like is your recipes are easy with simple ingredients, helps my husband like anything I have made with one of your recipes. I’d like to see a cheesecake recipe. I’d like to see Asian and dessert recipes. Congratulations, Kyndra! I’m excited about your new book! I’ve been GF for 3 years, but have recently been reading about Keto and I’m needing guidance! Going to Amazon to pre-order 🙂 Thanks for leading us on the gf, low carb, and now keto journey! I would love a keto kinder bueno! I hope to see Asian dishes in your book. I’ve been craving Chinese. Thanks for all you do, I love your recipes! I can’t wait until this it out! I love stuffed veggies (peppers, spaghetti squash, etc.) and hope to see some of these in the book. Looking forward to reading your new cookbook. Congratulations! I Love your posts. !! I’m having a hard time sticking to Keto:( I’ve actually gained weight because I start keto in the morning & by evening I’ve eaten carbs. Help! Hoping your books help. ???? Can’t wait for that breadsticks recipe!???? The book looks great! Would love to see a recipe for some kind of a stir fry using up leftover meat and veggies. Hi I’m excited to learn more about Keto. I’ve heard great things, and am just learning the recipes. I love the blog and can’t wait to dig into the book. Looking to get my eating back on track, this would be so helpful!! How awesome! I can’t wait to read this! Amazeballs! So much great stuff in one place! Congratulations on the new book! I would love to see some simple dinner recipes that are dairy free. Would love to win these awesome products and books! I would love to see instant pot recipes. The Reuben Biscuit sandwich. I’ve been wanting a reuben for days! I love your recipes! They are always so easy to follow and have ingredients that I can find easily at my local grocery store. Thanks for the chance to win this awesome giveaway! Looks awesome, hope I win! thinking the pickle brined fish and chips is sounding really yummy. I miss a good fish and chip meal. I’m excited to see this cookbook. Replacing my SAD cookbook collection with healthy options as I learn to cook foods that support and sustain my body and not just feed my lust for carbs! Thank you for this opportunity to add to the 2 books I have so far and to try new products. Congratulations on the success of your publication! Love your recipes! Cannot wait to check out the book! Comfort food would be a great addition! ???? I’m just starting on my Keto journey. Being dairy free is needed too. Kid friendly recipes, I’m helping my grandaughter with being gluten and dairy free. So any and all help is appreciated! Mostly breakfast and lunch ideas for on the go. Look forward to your new book! Something that I can make ahead and take in my lunches. Awesome giveaway! I’m excited about your new book! Oooh, this book is going to be great! I’m hoping to find some recipes for yummy snack things, like dips (with ideas of what to dip). It’s nice to make a fun snack for a weekend night to share with my family. Keto has been working wonderfully for me! I’d love to see more dessert recipes because that’s where I struggle. I also love quick snacks! Can’t wait ! What a great resource. What a terrific giveaway! I finally got around to making the flourless, chocolate peanut butter cake yesterday. Quick, easy, and delicious! My 14 yo who has Celiac also enjoyed it! Wow! This book sounds amazing! I love Mexican food, would like to see some recipes for Mexican food, Keto style. This will make a great Christmas present for myself ???? Love following your Instagram! Looking forward to seeing your crockpot recipes in the book. So excited to check out your book. I’m hoping for some breakfast recipes! I would love to see an alternative to chicken Parmesan!! I’m really looking forward to the fish and chips recipe! Awesome giveaway! I’d love to see a delicious southern, comfortable bowl of stew perfect for a cold night! I’m going for quick and easy weeknight or crockpot recipes. Sweet! Amazing Effort! Best Wishes for the book release! I can’t wait to get this! I’ve been using your recipes for years and have never been disappointed!! Your books are awesome! Can;t wait for thsi one too! WOW! What an incredible giveaway to hold us over until your books comes out! Thank you!! Congratulations on this new cookbook. I can’t wait to get mine. I love the meal plans you offer,they keep me on track and I never get bored with the meals I make. You are helping me save my life with getting my eating under control and losing weight. Thank you ever so much. Can’t wait for my cook book. Loved seeing that the new cookbook has a pretzel recipe. Super excited to try that! This looks like an amazing giveaway! Hoping to win for a friend! I would love to look through these books first though! Ice cream recipes would be AMAZING!!!!! I love any of your soup recipes so I’d love to see one or more of those in the cookbook. I’ve been following a ketogenic diet for about 6 months and this is the way I can live for the rest of my life! I’d love to see a shepherds pie recipe or an ice cream recipe! I had to laugh when I saw other comments regarding brownies…. because, let’s be real. Brownies are what the people want ???? I’m so excited to be entered into this giveaway!!! What an amazing prize!!! ???????????????????????? Would love to see a recipe for BBQ sauce. I try to eat low carb, but I’m mostly vegetarian so it’s sometimes difficult! I just don’t care for meat, chicken, fish. I’d like to see some low carb veg dishes. I’m so excited for this cookbook! Any food that my kiddos will approve of such as chicken and dumplings, cheesy, chocolatey, and down right delicious. I love your recipes 🙂 wish me luck! I need a keto recipe for yogurt…. I need ro broaden my keto pallet ???? so hoping to try many of your recipes! The thing I miss the most is pizza as I’ve not found a good way to replicate it and keep the taste. A good one would be a relief TBH as it’s the one area I worry that I will fail on. I would love to see a recipe/substitute for pasta. All my favorite authors and I’ve been wanting to try all those products! Love you recipes, so glad you came out with a cookbook! Cookies. Seriously though I would love to see anything that feels like your cheating and really not. I love loving the keto life. I would love to see some creative pancake recipes! Can’t wait for this. Would love to see more dessert recipes that didn’t require cream cheese. Would love to see a sweet barbecue and or teriyaki! That’s a primo giveaway. I always enjoy you recipes. Hoping for a some quick easy meals in the craceable keto cookbook! Awesome , this would be great to win. And especially on a tight budget. How much extra stuff will I need to buy to follow the recipes in your book? I bought the keto diet book by Leanne Vogel and I’m kind of bummed with all the extra stuff I had to order from Amazon to make some of the recipes. I wanted just whole food I could find in a local store. I new to the keto diet so any help would be great. Would love fix it and forget it recipes for family’s on the go. Thanks for having such an amazing contest. I’m new to this WOE and I love it! I feel better than I’ve felt in a long time. I’d love to see some Middle Eastern recipes! What a great giveaway! I’d love to win. Congratulations on your new book! Thank you for an awesome giveaway!!! I’m always looking for crockpot and instapot recipes! Wow! Can’t wait to see if there’s a good cookies recipe without peanut butter in them. I’m on the hunt! I’d love some super easy breakfast recipes! I’m so bad about eating in the AM. Thank you for the giveaway opportunity! Keto not only helps my blood sugar issues, but helps with my depression, too! Love your site!! I would love to see some delicious Mexican recipes! I hope to see some easy crock-pot options & some new simple fat bomb recipes! I’d love to see lots of ice cream recipes – it’s warm here! I preordered just the other day! I’m looking forward to some quick and savory meal ideas. Just recently started following you but I saw the ig story of you making the Mexican cauli-rice and I’m so excited for it!! Love to see cinnamon rolls in here! As sosomeone mentioned above, Indian recipes would be great! This would be a blessing to win. Thanks for all of your wonderful recipes, Kyndra! I can’t wait for more of your tasty, easy, one-pot dinners – though I could live on egg roll in a bowl forever! I’d also like more cookies and fat bombs! Oh my goodness this would be so awesome!! !My functional med doc has been hinting at me trying this lifestyle to bring some major health issues under control. So excited to get started, but with lots of food allergies and type 1 diabetes, I have been struggling with getting creative with new foods (especially on a low budget). All the education in this prize pack would be amazing. Thankyou so much for such a huge prize, and congratulations on your new book. I can’t wait to read/use it! Blessings! I hope there’s some Indian or Thai recipes.. also ones that are easy to convert to a crock pot!!! Such an awesome giveaway. I wound would like to see more recipe ideas I can get my kids to eat and enjoy more veggies. Maybe more hidden veggies recipes. Very interested in trying out the keto lifestyle! Congrats on your new book! And thank you for the giveaway to celebrate it! Hoping to see lots of caulirice recipes . I just want some non-fancy meals! Encrusted halibut, fennel and goose liver – no! I want some everyday regular meals that my kids will love! Lasagna!!! Can’t wait to check out your book! I am always looking for snack recipes like chips or crackers etc. Looking forward to trying all the recipes. So excited about receiving your new book. Congratulations! I’d love to see some recipes ideas for salty, crunchy snacks…not having sweets is easy for me, but I can’t lie, I miss potato chips! Your recipes are always so good that I’m sure whatever new ones you have in your book are going to be delicious! I love pizza, and would love to.find a really good keto crust recipe! Super excited for your book to be released. Hoping to find some super easy quick recipes for lunch. I love salads but I get burnt out on plan griled chicken salads. Needing to change it up a bit! Thanks for the awesome giveaway! I am super excited for your new book! It comes at the perfect time – we’re taking our Paleo/Primal to Keto! If it wasn’t for your recipes, I wouldn’t have been able to get through the 1st 2 months. That was over a year ago!!! Love your posts on Facebook! Thanks for sharing and being a wealth of information. I would love to see a cheesecake recipe! Just founds your site. It is great. Brand new and just trying to figure out what is keto. Thank you for the opportunity! Would love breakfast ideas. Low Carb ravioli that’s not too time consuming would be awesome! New to Neto and I am willing and eager to learn about it. Those dill pickle fish and chips would have my whole family joining the Clean Plate Club. Thanks so very much for the chance to win. I would be beyond grateful and thrilled! Hoping to see some Italian or Asian dishes in your book! Someone else mentioned — Indian recipes! I make a low carb butter chicken, but this is something I miss most. Enchilada recipes would be awesome. Soup or casserole or variations therein. I’m so excited for the book! I would love to see some vegetarian recipes! This looks like an amazing package! I would love to find a yummy low carb fudge recipe in the book! Easy baked goods recipes. I hate recipes that call for 20 ingredients. I go right by them if they are that involved and I don’t buy cookbooks if that’s what the recipes look like. I hope there are some good crock-pot recipes for this fall and winter – I already know I’m going to miss my old stews and soups laden with starchy vegetables and pastas. I love cookbooks and I cannot wait to get yours! Fish and chips recipe sounds amazing! I preordered the book and cannot wait! I would like to see Thai, Indian foods. I struggle with breakfast. I never know what to make because I am not crazy about eggs. I hope to get a bunch of new yummy recipes that I can add to my days. I need recipes that are quick and easy to prepare and are tasty to an almost 11 year old boy. Some freezer recipes and crockpot recipes would be helpful too! I love so many recipes you have shared so far. I have had to stay away from nightshades so I”m hoping to see some more comfort foods without tomatoes or peppers, or at least ones I know I can easily omit or substitute something. Ordered mine too and cannot wait for it!! I’d love to see some Cajun favorites like gumbo and bisque. I have been waiting to try these products and I am so excited for you new book! I LOVE Your 1st one!! I’m very excited to get this book! I really enjoy following you on IG!! Your pups are adorable! I have purchased your PLLC Ebook Bundle, and I’d love to purchase this new book you have coming out as well. I love getting your emails, and seeing what new keto recipes you have sent, and what keto things are out there. I love a good recommendation. It makes this lifestyle a lot easier. I am hoping to see pierogies and haluski! Two of my favorites!! I am trying to live right and Keto on. I think I may have convinced my boyfriend to do the same. He’s just starting to get it, and frankly, the books and support would help!! I can’t wait to get my copy of the cookbook! I’d love to see all the recipes on here in a book. What a wonderful giveaway fingers crossed. So excited to try some of the prodcuts. I have been keto woe for a few months and have been looking for support tools everywhere! These look awesome. Excited for those recipes but equally as excited for those resources! Amazing giveaway! Would love to see some new recipes for something interesting to do with chicken breast. I would love to see more quick microwavable treats/quick meals or snacks! I am at work/school sometimes for hours on end and when I get home I really don’t want to make something thats complicated! I’d love to see some Instant Pot (pressure cooker recipes)! Something easy to prepare with low cost ingredients. I would love to win this! I love peace love and low carb!! This is a massive giveaway – WOW! I’m new to Keto and am experimenting with it. I love your blog and would be thrilled to win the giveaway. I think it would be extremely helpful. Thank you! I’m so excited for your cookbook! When I needed to go “low-carb” for medical reasons a few years ago, your recipes made it so bearable – and are still in rotation today. Cannot wait for the book!!! I ordered it when you first mentioned it being available on Amazon! Amazing giveaway too! I’m excited for any cookie recipe! So excited for your book!! I’m hoping to see some Italian-inspired flavors ???????????????? Your new book sounds fantastic! I would love to see a great waffle recipe! Toffee or home made caramel!!! I would love some Thai recipes in the book! Thai is my ultimate favorite food when eating out, but eating keto had made some of my options limited. It would be awesome to have a worthy Pad Thai opponent that I could make at home! A sweet and sour sauce recipe! Congratulations! So looking forward to adding this to my collection. I’m really looking forward to some guilt free low-carb desserts to satisfy my sweet tooth!! Hoping to see more recipes involving bacon and your amazing homemade mayo! ???? I would love a good lasagne recipe! ???? Great prize!! 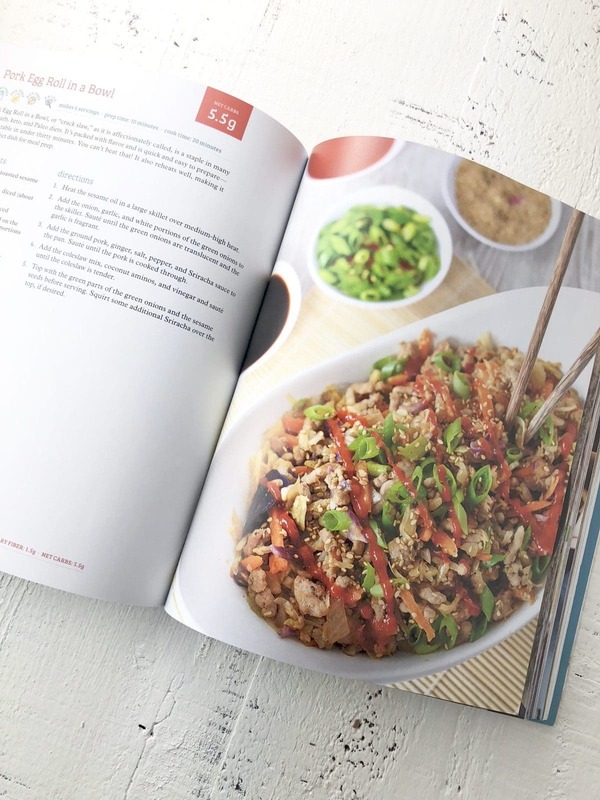 I would love to see anything Asian…my crew loves Asian food and when I can cook one meal that the kids will enjoy and that is low-carb for the grown-ups, that’s a huge win at my house. Looking forward to your new book! New guilt free desserts and especially the soft pretzels!! I want a tasty enchilada soup recipe. We’re a family that doesn’t really like chocolate (weird, i know!) so I’m hoping for dessert recipes that aren’t chocolate based for those of us who would like some OTHER type of sweet tooth satisfier. Love your recipes – so excited! I’m so excited for your new recipes!! What an amazing giveaway. I’ve made several of your soup recipes and they were amazing. I am so glad I found you on my journey to Keto. I’m so excited for this book! I can’t decided what recipe I’ll try first! I am so excited for this book and also hoping to find some quick non bake snack ideas and meals, I commute for work and anything quick is always so helpful! I’d totally buy if hubby wasn’t unemployed… I’d love to win this giveaway! This looks so awesome & so comprehensive! Thank you for doing this! I have your peace, love & low carb book & want to say thank you for sharing your many talents with the world! I’m hoping to see several simple one pan dinners in your new book! I would love to see some type of Pad Thai recipe! I’d really love to see some Mexican recipes besides taco salad and Spanish rice. Enchiladas have long been a favorite of mine, and I can’t figure out how to fill that void left by the texture of a corn tortilla that’s been soaked in red chili sauce and smothered in cheese. I have to say your blog is my FAVORITE Keto site. I follow several blogs and you have the best recipes and advice. You are super positive and just real about the struggles of weight loss. Your journey is truly inspirational! Thanks so much for the kind words. I truly appreciate it. I am really hoping for some Chinese recipes. A mongolian beef recipe would be awesome! 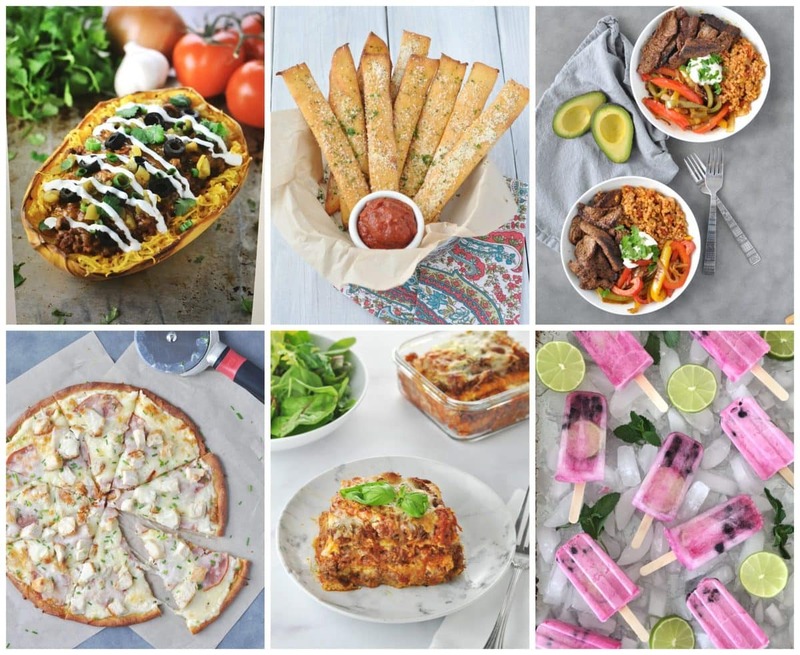 Thank you for sharing some great recipes and for the time and effort you’ve put in to help folks get back to a healthy lifestyle and the opportunity to win some great prizes to help us on our journey! Would love to see bread recipes! I’m just starting out and always looking for tasty ideas! Would so love to win the giveaway! Being out of work makes it hard to stay on plan because some of this stuff just isn’t in the budget right now. Can’t wait to try the new recipes in your cookbook! I’m hoping for some dessert recipes that are not total fat bombs so I can have more! Anything with CHEESE! haha of course, it’s my favorite! Thank you for a chance to win ..I’m new to this way of cooking & wanted to start with a great way to lose a little weight. Anything that resembles bread or desserts- I miss them both! So excited for your new book. I’m always looking for new and easy Keto recipes! I am so intrigued by this cookbook. Looks amazing! We’re hoping to bring some AMAZING lchf/keto dishes to Thanksgiving this year, and I just KNOW there is going to be a winner in your book! The pretzel recipe, how I miss those darn pretzels. Exciting news about your new book and exciting news about the giveaway. I would love to win all those goodies and it would certainly help me to reach my goals! I would love to see some great lunch and dessert options, I’m just starting keto and so far everything has been great that I’ve tried! I’m excited to read your new cookbook! Recipes for brownies and strawberry pie. I’d love a simple dessert suitable for a birthday or celebration. I can’t wait to see some creative ways to replace starches with veggies in this book. A few easy dairy free desserts would be great too. I love your recipes! Can’t wait for the book! Love your recipes online so I’m excited to see the new book when it comes out. Can’t wait for new keto dessert recipes! I would like to see a recipe for anything Italian. I love all your recipes. So excited for this new book! I could use more high protein recipes. I’m working up to one meal a day, but it’s hard to get 104g protein in at once other than using boring shakes ???? I cannot wait til my preordered book comes in! I can’t wait to check out your book! I hope to see some easy dessert ideas! I’d love to see an awesome chicken wing recipe in the book! I would love to see some yummy coconut flour desserts. I haven’t had too much success with the recipes i have tried. I can’t wait for the new cookbook! Thank you for your hard work and for sharing with the rest of us! Cheers! I just started the Keto lifestyle so I’m still learning. I can’t wait to get the cookbook to have some meal ideas. Really looking forward to the health benefits. So fun!! Looks like it is going to be a great book!! I think this could be life changing! Congrats! Can’t wait for this – I loved your first book! I’d love to see some gluten and dairy free recipes. What a great looking book! And thanks for the chance to win! I’d love to increase our Keto cookbook library and some new products! Would love to see recipes for instant pot and definitely some more side dishes that are easy to whip up. Congrats on your new book. Can’t wait to see what me kitchen adventures are coming my way! I’m big into Italian foods; I was a carb junkie with all of the types of pasta that I could eat. Recipes to make keto friendly pasta would be cool! I’d love family friendly recipes so my life is less stressful when school starts! Such a great giveaway! I am in love with all the great stuff here on your blog. Many new recipes to add to my menu! That chicken enchilada stuffed spaghetti squash sounds amazing! Yummy lookin’ book. I haven’t found a chocolate chip cookie since in keto that I like I would love to find one in this book!! Or spaghetti squash… maybe I’m making it all wrong. But it would be wonderful to find a recipe to change my mind. Reuben biscuit sandwich?! I’ve got to try that! Looks like a great cookbook! I’m always looking for more breakfast recipes, and anything quick and easy! I tend to put meals off til the last minute 😉 Thanks! Perfect timing! School’s about to start and I need id as I can make quickly in school nights! I want MEXICAN good recipes! What a great giveaway. I am semi new to keto so I am really looking forward to purchasing your cookbook (just waiting until hubs gets paid, I’m a SAHM). Thank you for all the great recipes. I love cheesecake so I am definitely going to indulge. I want to try spaghetti squash recipes, it’s my favorite vegetable. Excited for a chance to win your giveaway! I’m keto and would really like to see keto friendly recipes for the Instant Pot. Thanks. I’m hoping there are recipes for pizza and some kid friendly ones. Cant wait for the cookbook. I love to find new salad ideas that are nourishing and low carb. This is a great book to add to my cookbook collection of keto healthy eating. Keto eating has saved my life and now my entire family is on board! Can’t wait to get this book! Blueberry Mojito Popsicles have my name on them! What an amazing opportunity. I love Keto & can’t get enough of the different cookbooks. Really looking forward to the book!!!! I hope this has simple, quick cook meals!!! I am o excited you and for your new book. Can’t wait for the Asian Chicken Salad. Looks like an amazing offer! Thank you for giving us the opportunity to win. I would love to read your books and try some of the products as well. Thank you for the hard work and dedication you put in to making living low carb more enjoyable! This giveaway would be just the thing no to kockstart my keto lifestyle again! I love your recipes and these books look great! I eat keto due to joint pain. I pay for it if I cheat & eat carbs. I need all the help I can get! I would love dogs easy dessert recipes! Always looking for new ideas. Can’t wait to check it out! Tried to leave a message on the entree wouldn’t let me. Ordered book on Amazon. Found your site today. Having hard time knowing exactly what to eat on Keto. Don’t know if eating wrong or too much or what, Need HELP PLEASE. Need a fantastic realistic cheesecake with chocolate! Congratulations on the new book! Wonderful giveaway! You’re awesome! What an amazing giveaway. I can’t wait to get my new book. Some great desserts….guilt free icecream. Looking forward to seeing the new book. Looking forward to learning more about the Keto lifestyle. I love trying recipes from your blog, so I’m looking forward to your new cookbook. As to what recipes I’d like to find in it, I’d like to get more comfortable cooking with my electric pressure cooker, so lc pressure cooker recipes would be a major plus. I absolutely love following your blog. You help keep me on track! Congrats on the new book – looks great. I hope there are some chicken recipes in there! More dessert and quick & easy dinner recipes. Excited to read all this good info! Thanks! Looking forward to this book. Would love more bread recipes and desserts. With Tight budget and 3 sons, this would be a blessing to win! Yeas congrats on the new book! I hope there are a lot of snack and lunch options. I do ok with breakfast and dinner but struggle for easy options during the day. I’m hoping there is a recipe for beef stroganoff as well as easy slow cooker recipes that incorporate veggies. I’d love to see a savory sides recipe that can double as an entree! Oh wow this is so awesome! Excited for your new adventure!! So excited! Hoping for a good brownie recipe! Looks amazing, I am wanting to begin Keto eating so this would be wonderful to win. Excited to see the variety of recipes! I’m hoping to find quick and easy or prep ahead meal ideas for busy weeknights. would love to see smoothie and milkshake recipes! I can’t wait for my free 8 week meal plan. I really need help to stay on track with this Keto way of eating. So sorry I have to wait so long for the book but the meal plans will suffice. Thanks so much for this resource. Just pre-ordered your new book! I am 2 weeks into the Keto way of eating. I was diagnosed with breast cancer earlier this year. I have to say the long-term medication is playing havoc with my system. I am hoping this way of eating will help my body heal. I haven’t got the full hang of it yet, but am getting there. Following you on both Facebook and Instagram and am very encouraged and motivated for this new way of eating. My copy will be delivered tomorrow. I can’t wait! It’s been ordered since July!!!! Just ordered to my Kindle and I am so excited!!! I preordered your cookbook from Amazon and I love it. I am new to the keto world and you have answered so many of my questions in this book. I like how you share your ups and down with food and dieting/life style changes. I can relate to so much of what you have wrote in this book. It is inspiring to see a healthy women behind this book not some toothpick chick who has never had to worry about what she eats or her weight. You look amazing. Great job on this cookbook. I just purchased a copy of Craveable Keto and I see that. I can get free menu plans for 8 weeks… how do I go about getting these plans? I purchased off amazon.ca since I am from Canada. I emailed my Amazon receipt to the address above, twice and still haven’t received the free menu plans. 🙁 The last email was sent on 3/22/18. Did you attach or forward a screenshot of the receipt? Was it for the paperback and not the ebook? Did you verify that you sent it to the right address? Did you check your spam / trash folder? These are all some of the reasons you may not have received it. I have personally sent out the meal plans for every receipt that I have received. I love your cookbook! I bought it on Amazon and I’m so glad I did. It is really helping me get started on keto and the delicious recipes are making the keto journey so much easier for me. Thank you! I do have one question for you. Several of your recipes call for dill pickles or the brine and I was wondering if you make your own dill pickles or recommend a brand that is carb friendly? Can I still receive your 8 week meal plan if I purchased your book on April 2, 2018 through Amazon? Is it still possible to get it if I can show you proof of purchase? Thanks in advance! So weird. This sounds just like something my friend Joel would say. Thank you for sharing your story at the beginning of this cookbook. You have inspired me to THROW OUT my scale forever!! Totally related to your story. Love the recipes in this book and cannot wait to try ALL of them!! I already bough your book , Made a few recipes and they where wonderful. I would advise everyone to buy this book.